Chromoly construction. Rim: 43mm deep and 14Gx36H. Spoke: 14G, F/295, R/295/292. Tire: 700c25C. No kick stand. Pedal: 9/16″. No front brake. Only rear brake. Chain: H 1/2″ x W 1/8″ x L 96″. 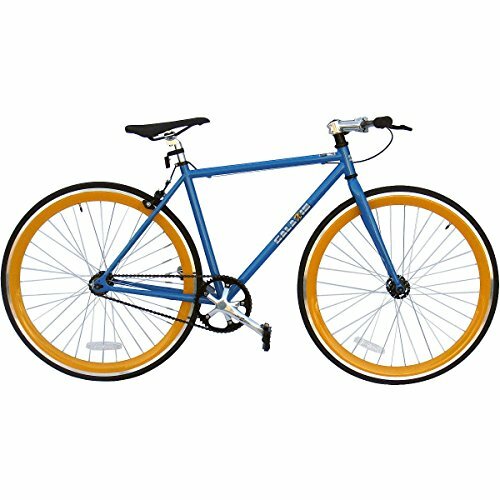 Perfect for commuting and touring brief distances round the city, the Galaxie� 700C forty eight” mounted-equipment bicycle Handiest has one velocity and is highest for flat, paved streets. Its chromoly development is amazingly light-weight, so you’ll maneuver without problems. Chromoly development. Rim: 43mm deep and 14Gx36H. Spoke: 14G, F/295, R/295/292. Tire: 700c25C. No kick stand. Pedal: nine/sixteen”. No entrance brake. Handiest rear brake. Chain: H 1/2″ x W 1/eight” x L ninety six”. Grip: 2.5cm x 105cm. Take care of Bar: 22.2mm (radius) x 560mm (width).